If you're looking to buy, we have many tools to help you find the home of your dreams on the Emerald Coast. All information provided herein is free of charge and with no obligation. Click here to search all available homes in the Emerald Coast Mutiple Listing Service (MLS). Sign up for our automated home search mailing list. Periodically, a search on your home criteria will be sent to the MLS and the results will be automatically emailed to you. A pre-approved mortgage is a great tool in helping you decide on your new home. Read about some of the benefits here. These are the items a lender may want to see during the preapproval process. 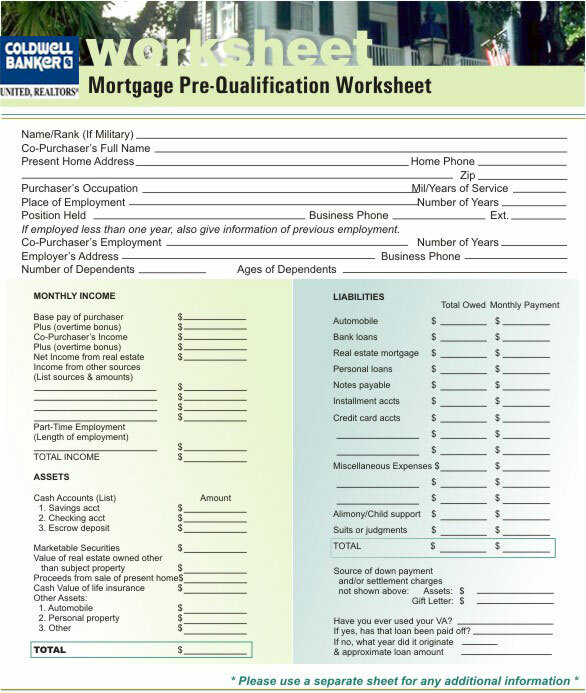 Use this prequalification form to help lenders pre-qualify you for a mortgage. This is an image that will print full-size onto a standard 8.5 inch x 11 inch piece of paper. Karl's Mortgage Calculator can help you calculate your P(rincipal)I(nterest)T(ax)I(nsurance) payment as well as generate an amortization table. Real estate contract offer and acceptance is explained here. The steps of the real estate buying and selling process are listed here in the order they usually occur. However, not all closings are the same so this process is only a general framework. Your Realtor will explain the entire process as a deal progresses. Atlas 1031 Exchange - Find out if the tax due on the purchase of your home or investment property can be deferred. The purpose and function of a transaction broker is explained here, as well why it is the best choice when buying a home in an open market.